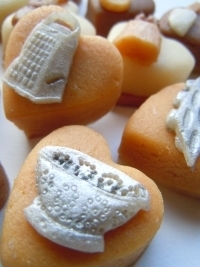 Miniature marzipan kitchen tools decorate plain almond marzipan hearts. 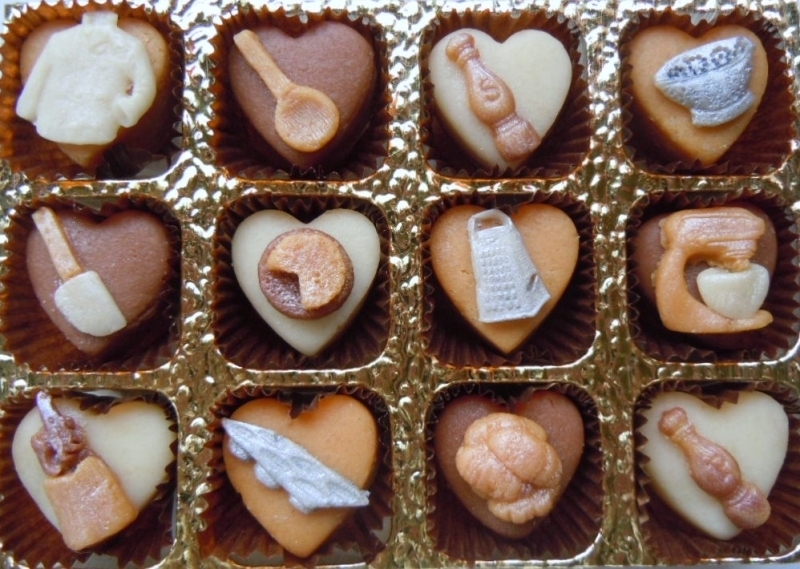 The perfect gift for any aspiring chef, baker or food lovin' friend. 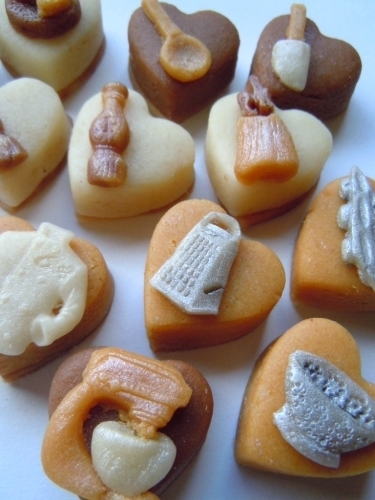 Available in plain almond marzipan or why not try our chocolate and ginger flavoured version?